At Best Home Renovations Inc., our Glendale Heights remodeling contractors are some of the most highly skilled professionals in the local area. We have an immense amount of knowledge and experience. As such, we are the best team to hire for your next home improvement project. With our assistance, you will be able to make the most dramatically beneficial changes to your property. Since 1997, Glendale Heights families and homeowners have trusted us with all their remodeling projects. Our Remodeling Contractor professionals understand the importance of your home. For this reason, we are honored each and every time we are hired for a job. During our services, we promise to treat our efforts as if we are performing them on our own properties. In this way, we can guarantee that you receive the highest quality services possible. 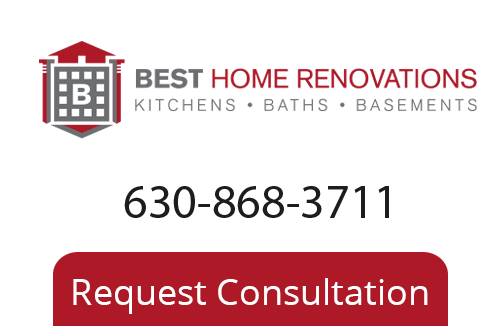 Call Best Home Renovations Inc. today if you need to hire a professionally licensed remodeling contractor in Glendale Heights. Our courteous and polite staff is here to guide you through every stage of the project. We would be happy to answer any questions that you may have. We can set up your appointment today. Remodeling a bathroom within your residence can be extremely rewarding. Your bathrooms are highly important to you and your family. You rely on them to get ready for the day. A master bath can be a place in which you can comfortably relax. Because these areas are so functionally important, any changes that you make to the area can result in amazing benefits. The most popular room to remodel is the kitchen. The kitchen is the heart of the home. It is where you and your family prepare and share meals. It is central to any entertaining that you do in your home. In order to have a successful kitchen remodeling project, you must make changes that enhance each and every one of these moments. At Best Home Renovations Inc., our Glendale Heights kitchen remodeling contractors can help you make the best functional and aesthetic changes to the living space. With our guidance, you and your family will most assuredly be pleased with the results for years to come. If you need to hire a professionally licensed remodeling contractor in Glendale Heights, call Best Home Renovations Inc. today at 630-868-3711, or fill out our online request form.